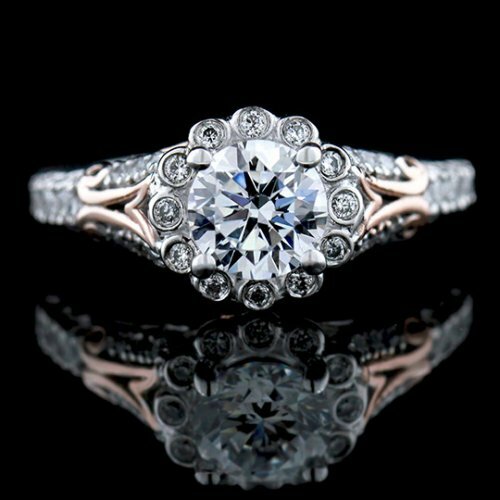 Color explodes from the white and rose gold design of this thrilling diamond engagement ring. Its sensational and unique appeal is enhanced by a sparkling round brilliant cut diamond with a weight of .92 carat. This diamond is a natural enhanced certified diamond and has a clarity of SI1 with a beautiful color grade of E. Round cut, bezel set diamonds surrounds the centerpiece.